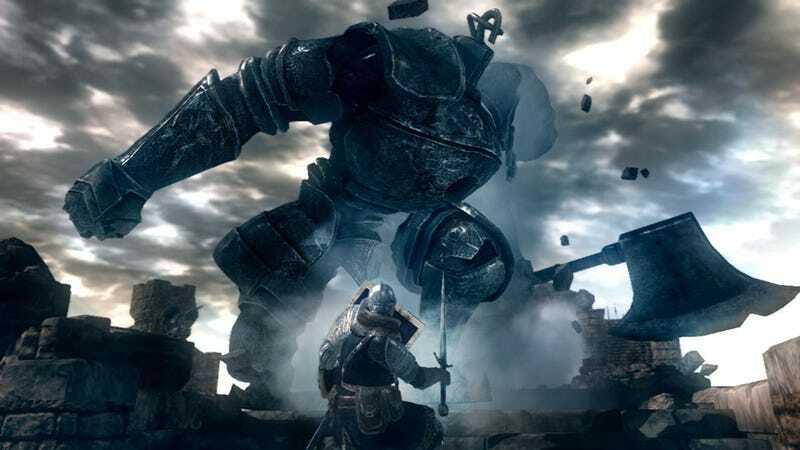 Internet petitions are normally as effective in bringing about a desired result as closing your eyes and wishing really hard, but with more than 66.000 signatures accrued in just one week the petition for Namco Bandai to release uber-challenging dungeon crawler Dark Souls on PC seems to have gotten the company's attention. Launched last week when a Namco representative on the company's forums suggested that strong enough demand could get the job done, the PC Dark Souls petition has been met with overwhelming response, or at least overwhelming enough for the forum admin to get a visit from his higher-ups. Admin Shoupinou expressed amazement in a follow-up forum post. If you've not signed the petition yet, go hit it right now. I'd love to play Dark Souls on PC, plus the flood of ridiculous internet petitions that ensues once one is actually successful is always amusing.